Leaving Whichwey (the boat with the wood) behind us at the lock a trio of boats moved out onto the Trent at just before 0900. I let the others go first as I was not in any hurry and would most likely go slower than them. 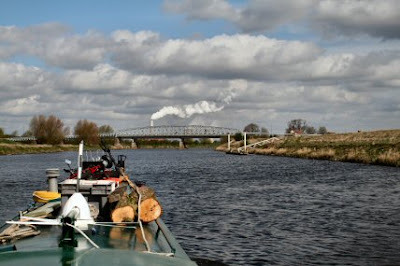 With Mucky Duck leading Just Reward we were soon nearing a gravel and sand loading wharf. The Little Shuva moved off into the gap and I stay behind it. 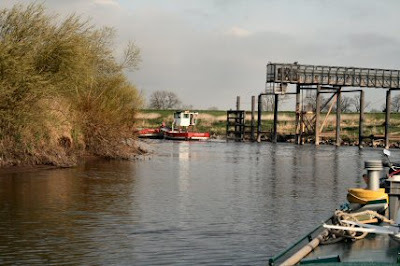 It would leave me on the straighter parts but as soon as a corner came it would slow down to manoeuvre the barge around the bend and I would catch up. I heard on the VHF some chat from another boat moving up towards us and it soon came into view. I was pleased to be behind the barge as it was then easy to follow his line. Then things got hairy. A tight bend and the tug couldn’t take the corner. The next thing was that he had slowed right down and I did the same but with the flood with me it made little difference to my speed so I went astern to keep away. Before I knew what was happening he was going full astern and heading straight for me. 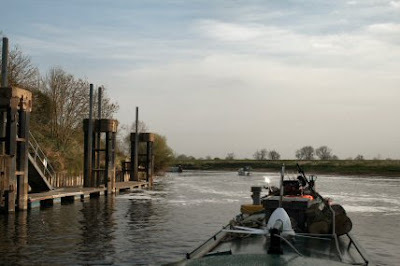 The barge by this time was taking up ¾ of the river and the only thing left for me to do was to go full ahead and head for the gap between him and the bank. The engine was throwing out smoke and I had never given it that much throttle before. I slipped through with feet to spare. 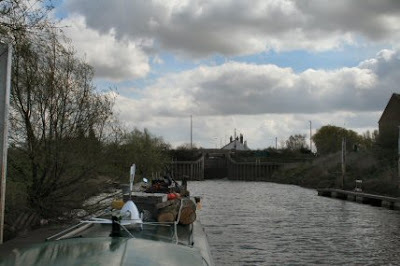 By the time I reached High Mareham he was catching up so I stopped at the pontoon and made a cup of tea and let him pass. Now it was a more restful part of the trip. 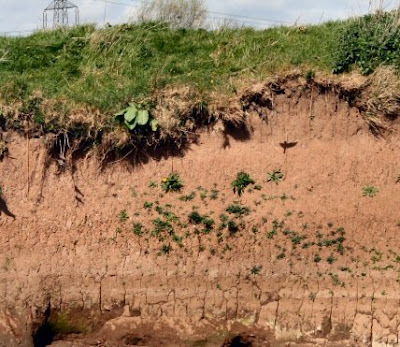 I spotted many Sand Martins digging out their nest holes. Naturally as soon as I got the camera I was left with just a couple in view. 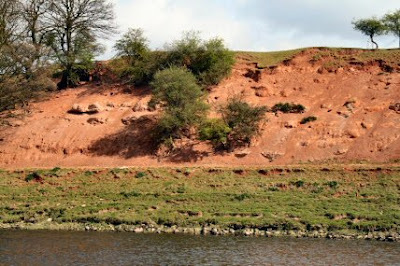 Near Newark there is a firm that digs out the gypsum seam that runs through here for use in plasterboard etc. The veins are visible on a bend as I neared Dunham. Another good place to see it is at Gunthorpe. Dunham Toll Bridge that is seen today replaced one built in 1832 and the book says that there was one there before that. The river at this point becomes the boundry between Nottinghamshire and Lincolnshire. Finally I arrived at Torksey. 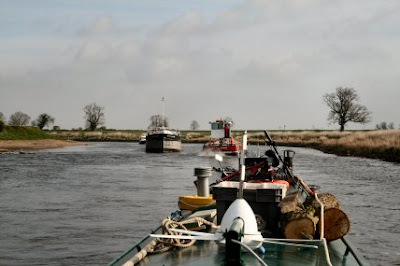 The other two boats were already through and on their way to Saxilby. With the lock closing at 1300 I made it with 30 minutes to spare. Then it is on to Saxilby and mooring up for the night. I was ready for a sit down by the time I arrived.